My love for you never fails, says the Lord. Others have failed you. Others have abandoned you. Others have misunderstood you. Others have disappointed you. Others have not been there for you. But My love for you is consistent. It never changes. It is unconditional. I will never fail you in any way, says the Lord. You are always on My mind and in My heart. There is never a moment of your existence that escapes My attention and there is never any feelings of your infirmities that I Am not touched by. I understand everything about you….even the areas that you are not sure of and those things about yourself that you can’t understand. I do. Nothing about you is exempt from My care. I will never disappoint you. Every need that you have is what I Am willing to supply. Nothing is beyond Me and nothing that is good will ever be exempt from you. I desire to bless you. I desire to secure you. I desire to be your source of comfort and peace. You have everything that you will ever need in Me, and I will take care of you. I will protect and shield you from the storms of life, as I Am your shelter in the time of storm. I Am your forever security. You do not have to worry that I will forsake you, because it will never happen. Place your confidence in this eternal, unconditional love that you will always find in Me, says the Lord. There is no other that will believe in you as I do, says the Lord. 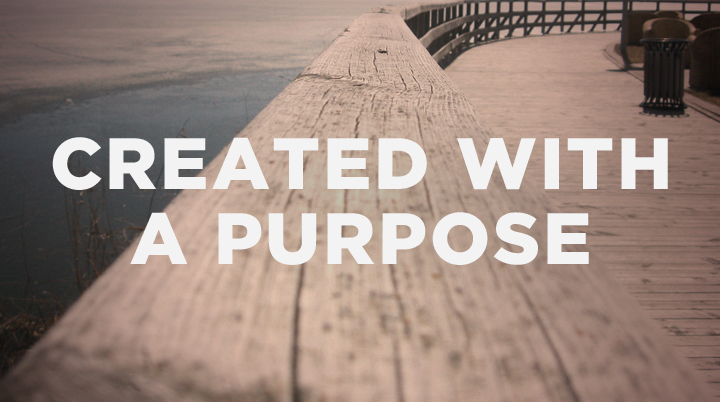 I created you for purpose. I created you with a plan that is eternal and doable! I will do with you, for you, through you and even in spite of you the things that pertain to My will and purpose in your life. I never fail. My purposes and plans cannot be aborted, for within you they are etched for time and eternity. I took great pleasure in creating you, and even before your birth I foreordained your destiny in Me and My kingdom that is without end. I woo you and draw you and bring you close to Me so that you can feel my embrace that holds you up, keeps you from falling and comforts you always. Come, My precious one into My secret place and converse with Me. Tell Me your thoughts and plans and share your hurts and concerns and worries with Me. I will listen. Then I will share My heart with you. My thoughts and ways are higher and will eradicate all of your fears, remove every torment, insure your victory over every battle and secure and provision every step of your way. I have everything covered, and I cover you in the covert of my tender loving care. You are safe and secure in Me and My constant, unconditional love that I have for you that changes NOT! Don’t let the enemy’s criticism and condemnation keep you from My gentle, yet strong arms of love and comfort and protection for you. Come boldly, for all is well. You have been clean through My Word, Clean through My shed blood for you, clean through My Spirit that lives in you. You have been forgiven and your sins forgotten, and none will separate you from Me, who paid in full the price for your relationship with me through My shed blood and finished work of the cross. Your faith in Me has saved you, and you are Mine. Come, My beloved, and receive the fullness of all that I have for you and bask in My unquenchable and unimpeachable love for you now and evermore, says the Lord.